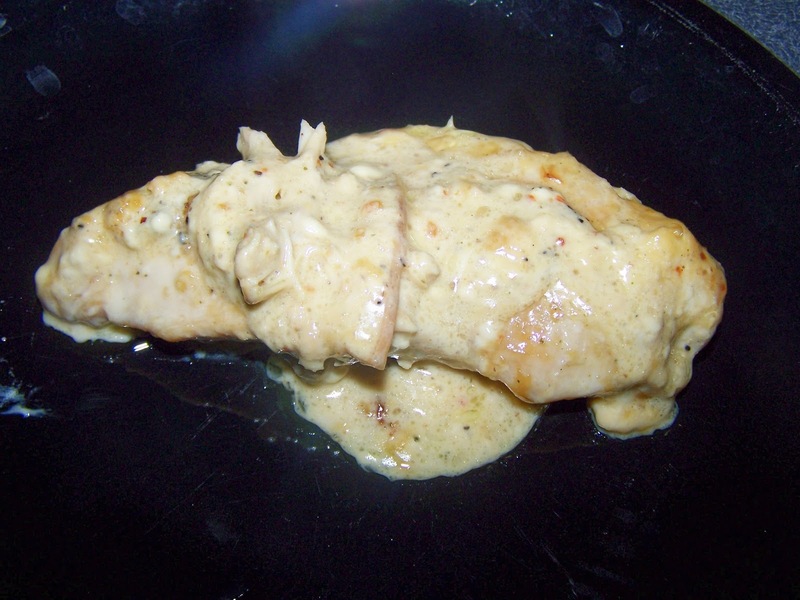 If you like Chicken Alfredo, well then you'll LOVE this great crock pot recipe! Put Chicken in crock pot. In small mixing bowl, combine water and Italian dressing packet. Pour over chicken. Cover and cook on low for 3 hours. At the end of the 3 hours, in a small mixing bowl, combine the cream cheese and soup until well blended. Stir in mushrooms if desired. Pour over chicken. Cook one hour longer or until chicken juices run clear. At this point, you can either remove chicken from crock pot and shred it. Return shreds to the crock pot and serve chicken and sauce over rice or noodles, or serve whole chicken breasts with sauce paced atop rice or noodles.